This week’s decision by PokerStars and a small handful of social-gaming sites to stop all play-money services to Washington State, in the wake of an adverse legal decision in a case involving Churchill Downs’ play-chip Big Fish Casino games, might turn out to be a case of over-the-top self-exclusion once the full take of the Big Fish case plays out. It’s one of those “there’s more to the story” stories, where what most news pieces have offered doesn’t really offer an accurate take on the situation. A little less than two weeks ago, a Washington appellate court remanded the case of Kater v. Churchill Downs Inc. to its initial trial court, reversing that lower court’s dismissal of the case against Churchill Downs. The Ninth Circuit reversed the dismissal of a purported class action against Churchill Downs alleging violations of Washington’s Recovery of Money Lost (RMLGA) at Gambling Act and Consumer Protection Act, and unjust enrichment. The panel held that Big Fish Casino constituted illegal gambling under Washington law because its virtual chips were a “thing of value.” The panel also held that plaintiff could recover the value of the virtual chips lost under the RMLGA. In this case, plaintiff alleged that she lost over $1,000 worth of virtual chips while playing Big Fish Casino, and she can recover the value of these lost chips from Churchill Downs, as proprietor of Big Fish Casino. Therefore, the panel remanded for further proceedings. So, play chips are a “thing of value,” according to the appellate court. However – and here’s where most reports miss the mark – there’s more to the case than a free-play casino site selling extra allotments of those chips for real money. All online or virtual gambling is illegal in Washington. Big Fish Casino’s virtual chips have no monetary value and could not be exchanged for cash, but Big Fish Casino did contain a mechanism for transferring chips between users, which could be used to “cash out” winnings. There’s not just one special circumstance here, but two. First, thousands of social-gaming sites charge a little bit of real money for play-money chips, but Big Fish Casino appears to be exceptional in allowing player-to-player transfers for unlimited amounts of chips. Other sites allow one player to “gift” chips to friends, but almost always in predetermined, nominal amounts. Second, most other sites don’t charge a transaction fee for allowing one player to transfer chips to another. If the play-money chips have a uniform utility (entertainment) value, then there aren’t many good reasons to allow players to transfer chips to each other anyway. It also undercuts the possible argument that Churchill Downs and Big Fish Casino shouldn’t be responsible for unofficial “black market” deals taking place elsewhere on the Internet. While Churchill Downs almost certainly isn’t involved in that, their system for selling additional chips is ill-conceived, and thus allows that black-market activity to take place. The appellate court’s ruling isn’t that strong, meaning there are other points involved where Churchill Downs could continue the legal fight, but Big Fish Casino essentially created nominal value in their play chips on their own. But the value wasn’t created by Big Fish selling the chips themselves, since there’s no cashout option, and thus no direct consideration. Oddly, it’s the charging the transaction fee in connection with the player-to-player transfers that’s the rub… and the difference. PokerStars does allow small play-chip transfers, but they are capped at a nominal 1,000 chips and there’s no transfer fee involved. That’s a key difference, and it’s an argument that Stars may have jumped the gun when it left the state. And it’s not the only difference: PokerStars doesn’t even sell their play chips for real money. Last Thursday, the Ninth Circuit Court of Appeals issued a published decision in Kater v. Churchill Downs Inc. (Big Fish Casino). The Court found that Big Fish Casino’s use of virtual casino chips within its games constitutes gambling under the Washington State Gambling Act, and remanded the case back to the U.S. District Court to allow the civil lawsuit to proceed forward. 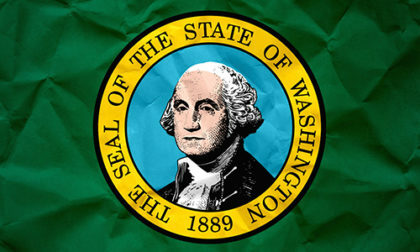 Since the decision was published, we have become aware that some online social gaming websites, including Poker Stars, have proactively made the business decision to deny Washington residents access to their sites. We are not a party to the civil court case, we did not testify in the case, and we did not order these sites to discontinue free online play for Washington residents. Customers with concerns should contact these websites directly. What the WSGC statement doesn’t say is every bit as clear. 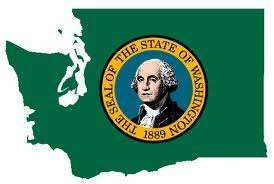 Regarding PokerStars and other sites that have left Washington State, that state’s officials don’t seem to believe the play-money games constitute illegal online gambling. It will be interesting to see if Stars and a few of these other sites reopen their virtual doors to Washington, once the dust settles. There doesn’t seem to be a good reason why not.